With over twenty years in managing information technology initiatives, Noam H. Arzt, Ph.D. understands how to develop, deploy and support systems on any scale. As an administrator and researcher at the University of Pennsylvania, he honed his skills including successfully guiding Federal, State and foundation grants and contracts. In 1997, Dr. Arzt launched his consulting company, HLN Consulting, LLC, which provides services and support to public health agencies around the country. HLN Consulting is a leading public health software application developer, has been at the forefront of Open Source software development, use, and support for public health. This has encompassed both the deployment and support of third-party Open Source products for our clients, and especially the development of new Open Source solutions. HLN's work has received wide recognition. HLN’s Open Source solutions have also begun to find a place beyond public health as components of Electronic Health Record (EHR) and Personal Health Record (PHR) systems. On June 6, 2017, HLN was awarded the 2017 Upshot Award for Excellence in Vaccine Supply, Access, and Use by the U.S. Department of Health and Human Services National Vaccine Program Office (NVPO) for its ICE Open Source Immunization Forecaster. In the letter of award, Dr. Jewel Mullen, Principal Deputy Assistant Secretary for Health commented that, "HLN Consulting's efforts on the Immunization Calculation Engine (ICE) are impressive. This powerful tool-including its open-source nature and seamless integration into clinical workflows-holds great promise for improving clinical decision-support and ultimately vaccination rates. Thank you for daring to innovate, collaborate, and lead in an area that is not only complex, but constantly evolving." The Immunization Calculation Engine, or ICE, is a fully configurable vaccine forecasting and decision support web service tool. After nearly twenty years managing information technology at the University of Pennsylvania, Dr. Arzt spent several years as a senior consultant with the Center for Applied Research (CFAR) in Philadelphia. He also served for several years as the Interim Vice President for Health Information Exchange Services, Vermont Information Technology Leaders, Inc. (VITL). For several years Dr. Arzt and his HLN colleagues helped support the State HIE Cooperative Agreement Program for the Office of the National Coordinator for Health IT. Dr. Arzt is a fellow of HIMSS, and a member of APHA, HL7, and AMIA. 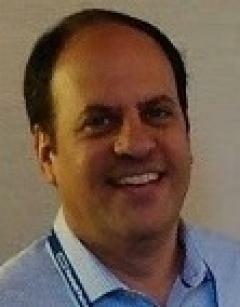 He is actively involved in the HL7 Electronic Health Record (EHR) and various health data interoperability initiatives. A frequent speaker at national conferences on health care and public health informatics, Dr. Arzt brings a national leadership perspective on quality and customized solutions. He holds a Bachelor's degree from the Wharton School at the University of Pennsylvania, and an MSEd and PhD from Penn’s Graduate School of Education.